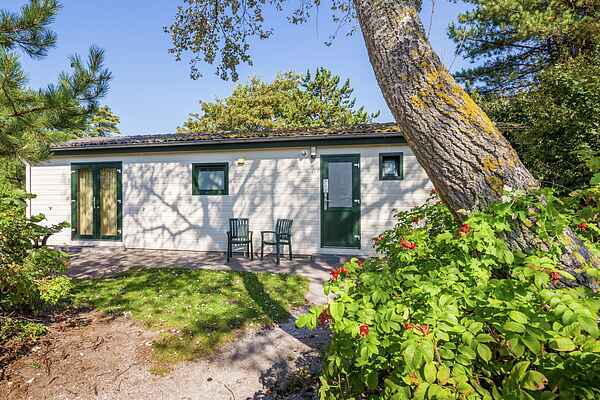 These modern, comfortable, detached chalets are scattered around the holiday park. They are all well equipped and each chalet has an open garden with a terrace and garden furniture. You can choose from a variety of 4 person and 6 person accommodations. NL-1931-13 and NL-1931-15 are the child friendly chalets. These have as standard; a children's bed, high chair, children's cutlery, protected sockets, toys and a sandpit. These types of accommodations are for a maximum of three adults and five adults respectively and a for child up to a maximum of two years old.